Picking teachers to write college recommendation letters can sometimes seem like an impossible task. Which teacher will write the best things about you? Which teacher knows you the best,and has the best writing capabilities? Well, we solved that problem by adopting the techniques from The Bachelor to help students decide. 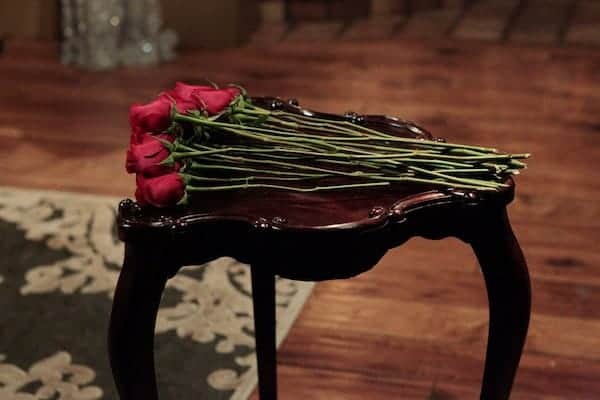 In this version of The Bachelor, each student has only one or two roses to give out. They must narrow down their choice out of their teachers in the upper school. The students will have the opportunities to speak with their top choices as a group and then individually to help the students choose. For most students, this process proves extremely useful as they navigate the various possibilities that greatly affect their futures. Senior James Young said, “I love doing the individual and group sessions. It allows me to see more of their personalities than simply being in their classes.” Students can do almost anything with their teachers on their individual dates, from studying together to going on community service excursions to attending academic competitions. Possibly the most exciting portion of the new process was the rose ceremony. In this version of the classic Bachelor selection ceremony, each week, students will give out roses to the teachers they want to consider for a letter of recommendation. At the ceremony, each teacher will have his/her chance to explain why he/she should receive a rose. Finally, the students will hand out their roses to all but one teacher, who will be eliminated from the competition. The selection ceremonies will continue until there are only 3 teachers and 2 roses left. Thus begins the final rose ceremony. Each teacher will have one hour to sit down with the student and discuss why they would be the right teacher for the immense task of writing a letter of recommendation. All in all, the rose ceremony works tremendously with both the students and the teachers. It also provides entertainment for the underclassmen as they watch the drama unfold as teachers fight to win over the hearts of students.